Born and raised on the north shore of Long Island, Dr. Justin Rivers earned his bachelor’s degree at the State University of New York at Binghamton. As an undergrad, Dr. Rivers was part of the volunteer team during a measles outbreak. 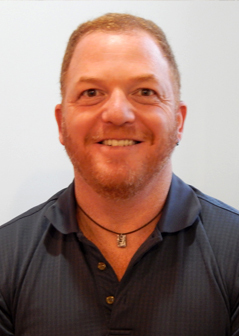 After graduating with honors, Dr. Rivers attended the University of Buffalo School of Dental Medicine. He earned his Doctorate of Dental Surgery with a minor in pediatrics, and was chosen as one of only three Americans to attend an externship at prestigious Guys Hospital in London, England. Dr. Rivers completed a residency at Jamaica Hospital in New York City, one of the busiest trauma centers in the US. While a resident at Jamaica Hospital, Dr. Rivers received training in trauma, emergency medicine, and prosthetic surgery. After his residency, Dr. Rivers continued to treat New York City’s less fortunate at a clinic in Flatbush, Brooklyn. In 2000, Dr. Rivers married his sweetheart, Saga, and left behind the excitement of NYC to begin a family and practice on Old Cape Cod. Although he cared very much for his patients in Brooklyn, Dr. Rivers wanted a pastoral setting to start his family, with sandy toes and salty air. The Rivers family is now complete with two beautiful children, Sasha and Jonah, and two sandy dogs. 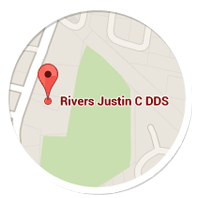 For almost fifteen years, Dr. Rivers has treated folks of all ages and backgrounds from all over the Cape. He and his staff provide state of the art dentistry with the personal touch of days gone by, and just a bit of merriment on the side! New patients are always welcome.